Bosa is one of the most beautiful villages in Italy. The old town with its urban canyons and tall houses is dominated by the ruins of the Malaspina Castle dating back to the 12th century. The left-bank of the Temo is lined with old tanner houses which are slowly deteriorating and waiting for a new lease of life. In addition to the alleyways, churches and squares of the city the nearby church of San Pietro Extramuros from 1073 is well worth a visit. Olive groves and vineyards dominate the mountainous region. The Malvasia di Bosa is one of the best wines of the island. Located on the seaside is the suburb of Bosa Marina, a popular beach community on the Sardinian west coast. During the summer the little green train “Trenino Verde” runs on the railway line Macomer Bosa and is popular with the tourists. Parallel to the river Temo runs the shopping street of the city. Today Corso Vittorio Emanuele, once residence of rich merchants, is the place to be seen. The sometimes hidden stores offer local craftsmanship, coral jewelry and the latest in fashion. On the Piazza Fontana, you can enjoy an espresso in the shade of the pavilions while watching the bustle of town. At the end of Corso Vittorio Emanuele lies Piazza Monumento – the actual Piazza, where children meet in the afternoon with tricycles or bikes, while their mothers exchange the latest news. 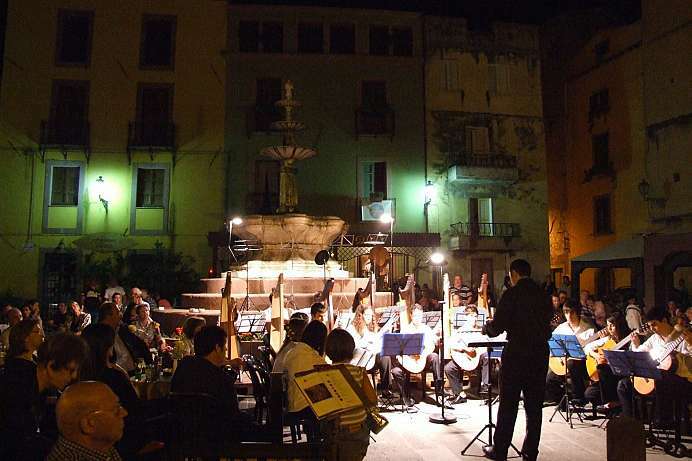 During summer live bands often play at night in Piazza Fontana. 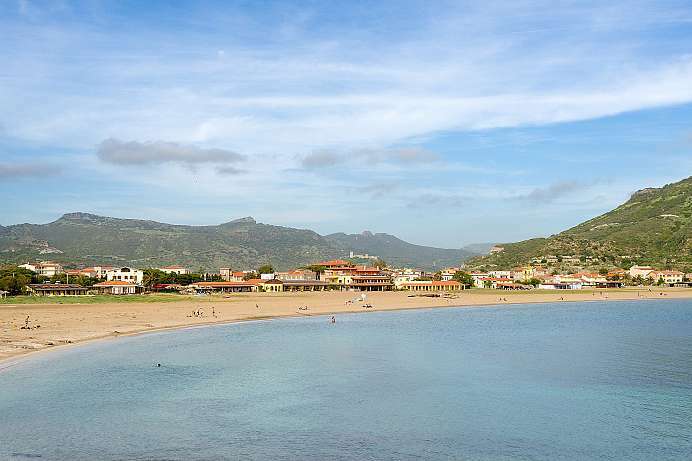 The suburb of Bosa is a popular beach with fine, golden sand on the Sardinian west coast. The marina has a number of popular bars and restaurants. During summer, tourists can take the narrow-gauge railway “Trenino Verde” from Bosa to Macomer.